I like abstract art and assemblages in crafting! 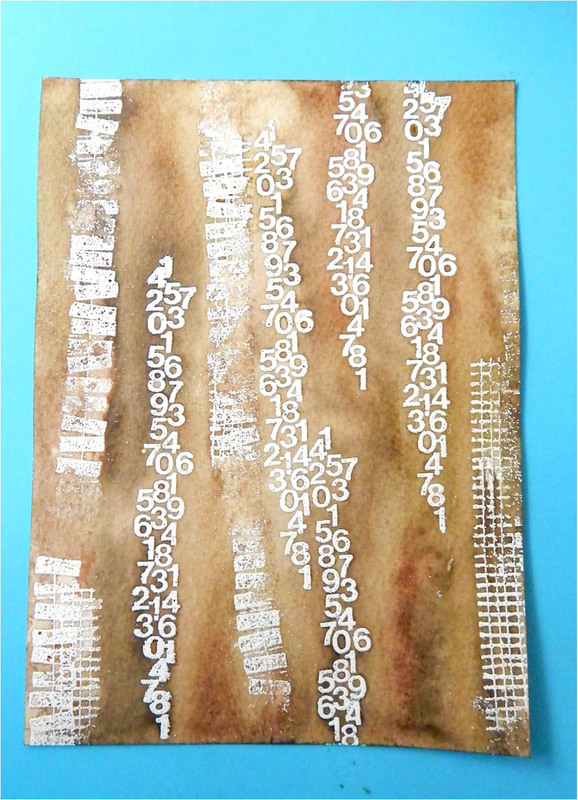 The mixed media style can be created with just about anything; inks, paints, found objects…there are no rules. 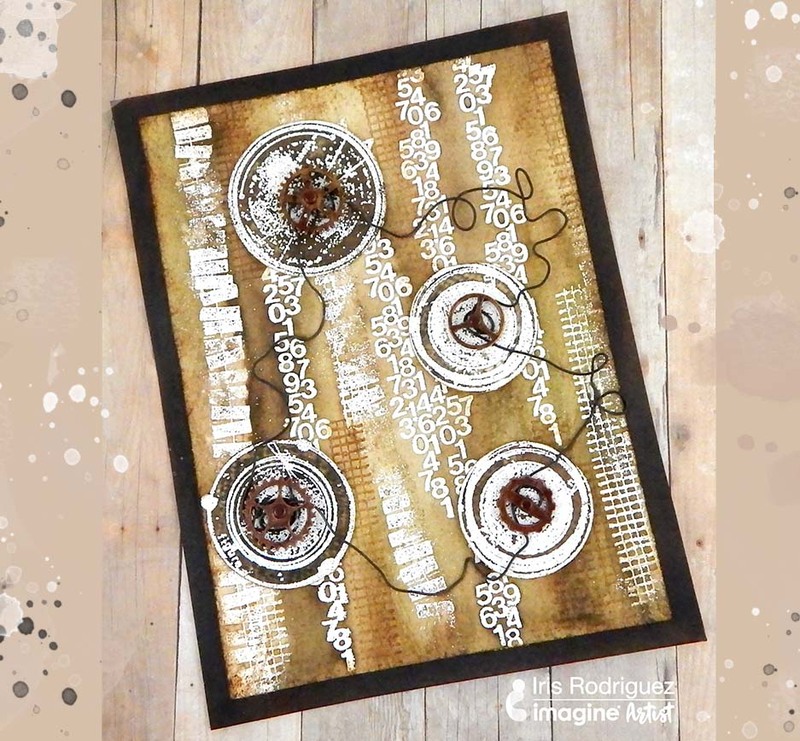 For today’s tutorial, I wanted to create an abstract assemblage art combined with the vintage, grungy, industrial look using Imagine’s Walnut Ink. Stamp the texture images with VersaMark ink on watercolor paper. 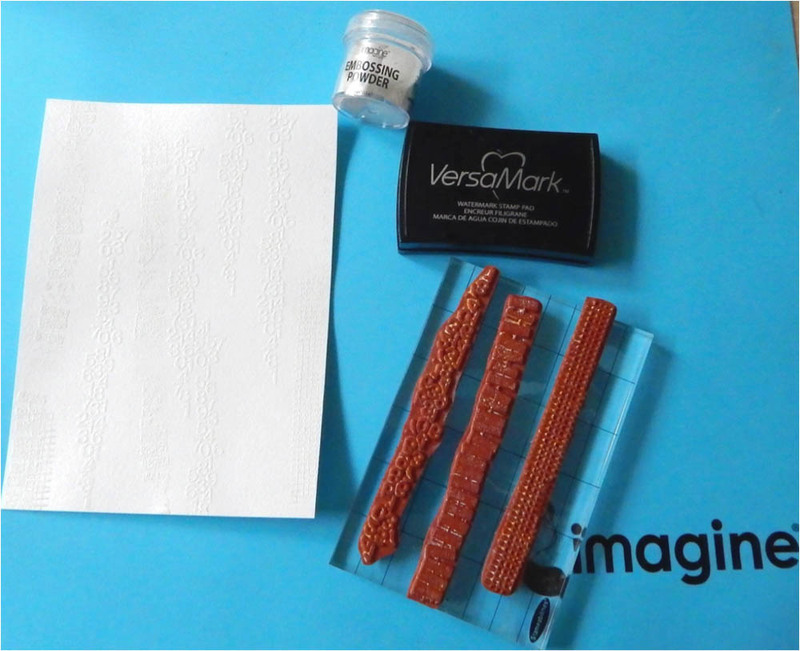 Add Imagine’s Embossing Powder in White and heat set. Brush on the Eucalyptus Walnut Ink. Dry paper. Brush on the Walnut and Java Walnut Inks. Let the paper fully dry. 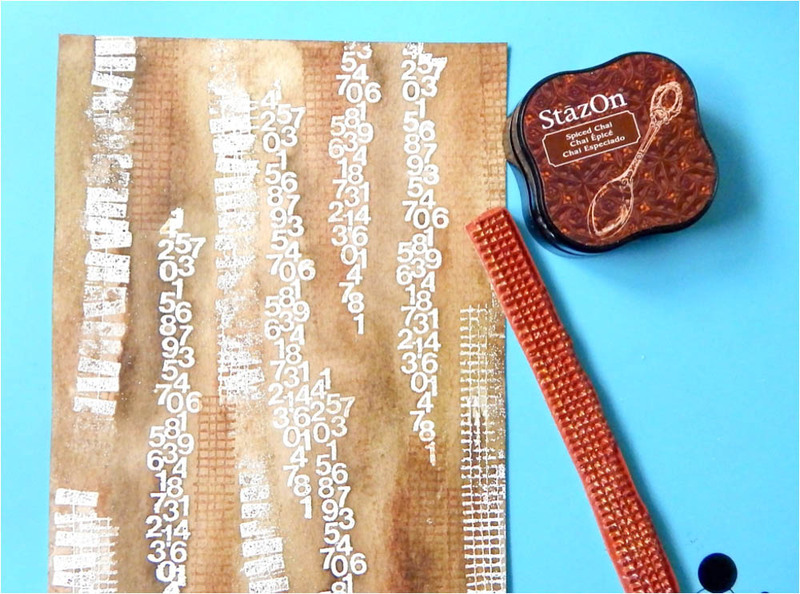 Stamp more texture images with Spiced Chai StazOn ink. 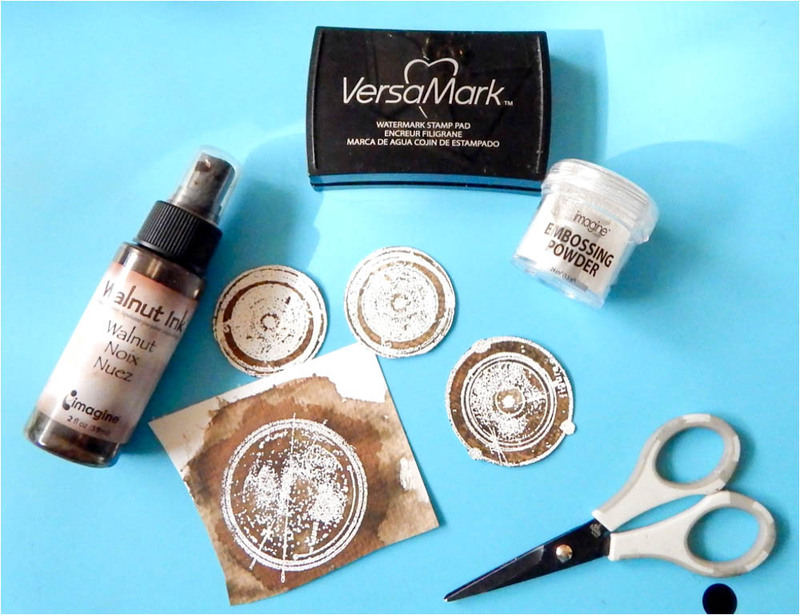 On a separate piece of watercolor paper stamp the round images with the VersaMark ink. 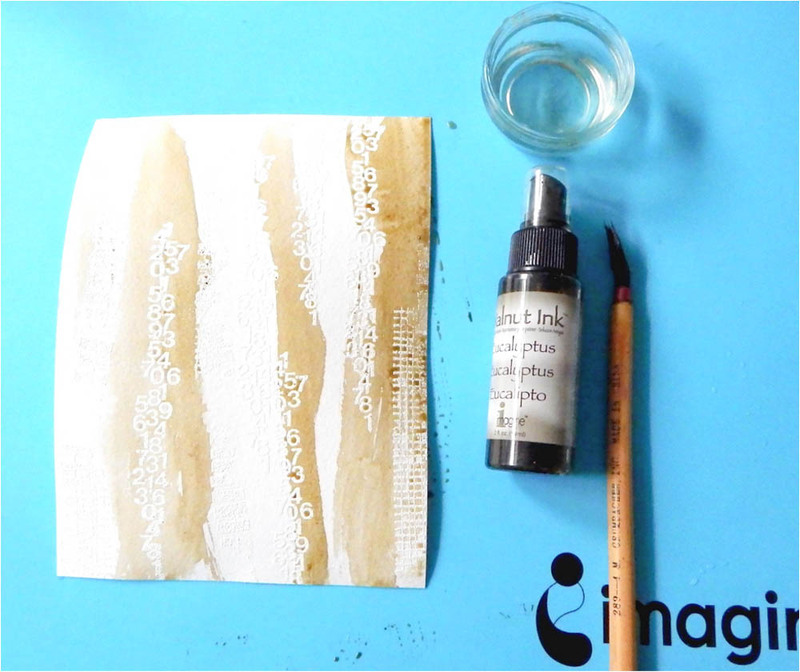 Add Imagine’s Embossing Powder in White and heat set. 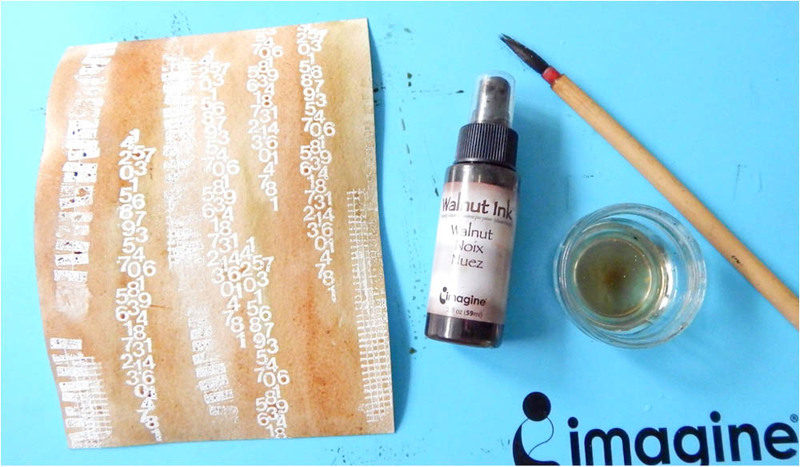 Brush on Java or Walnut inks or a combination of both. Vary the colors on the circles. Dry paper. Cut out the circles. 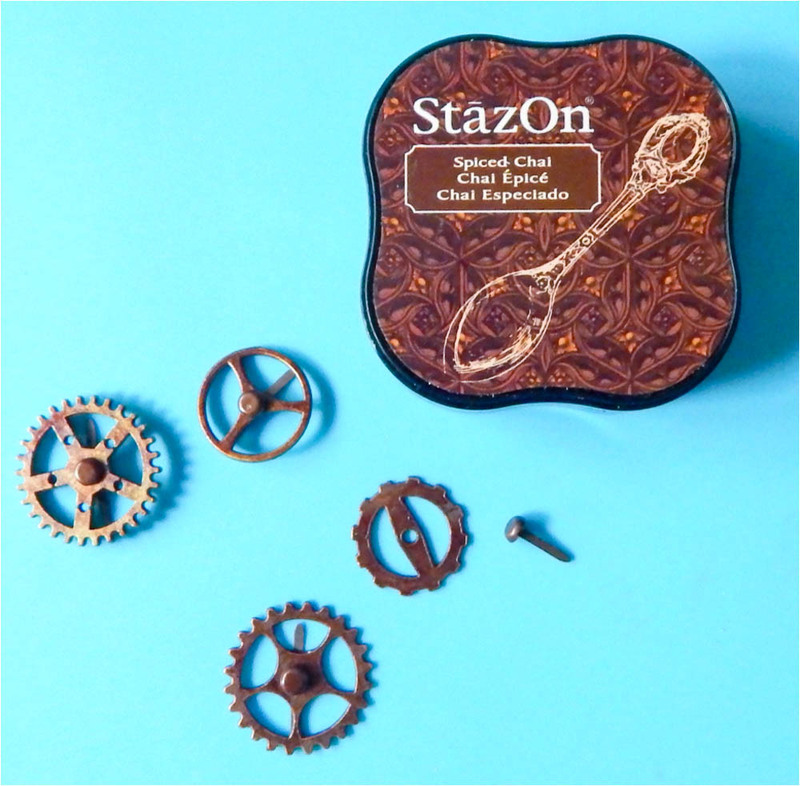 Color the gears and brads to make them all the same color with Chai Staz-On ink. Heat set the gears and brads if you’d like to speed up the dry time. Attach the gears to the circles with the brad. Place the circles in the desired area on the background paper. Do not glue the circles yet. 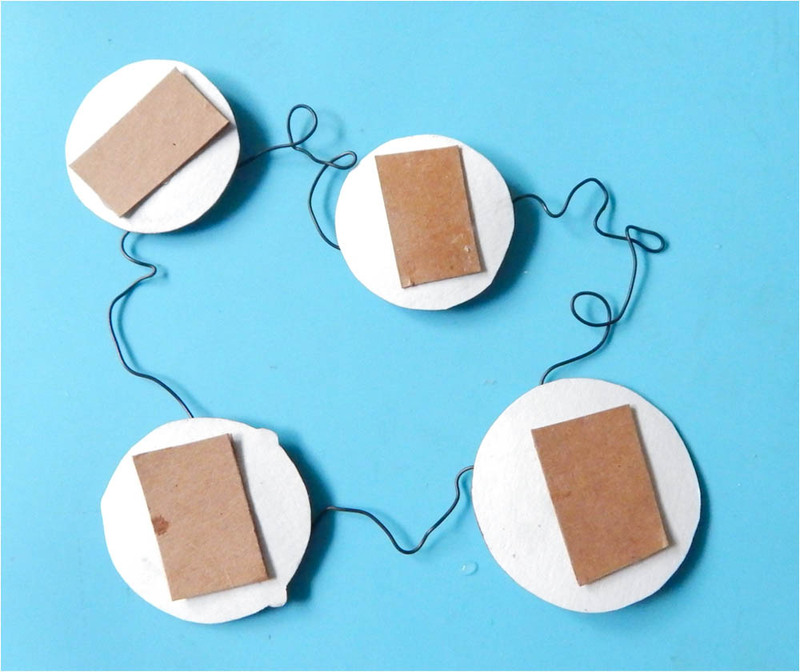 It’s easier to bend and wrap the wire if the circles are not glued down. Wire wrap around each gear and brads, ensuring that the wire goes under the gear. 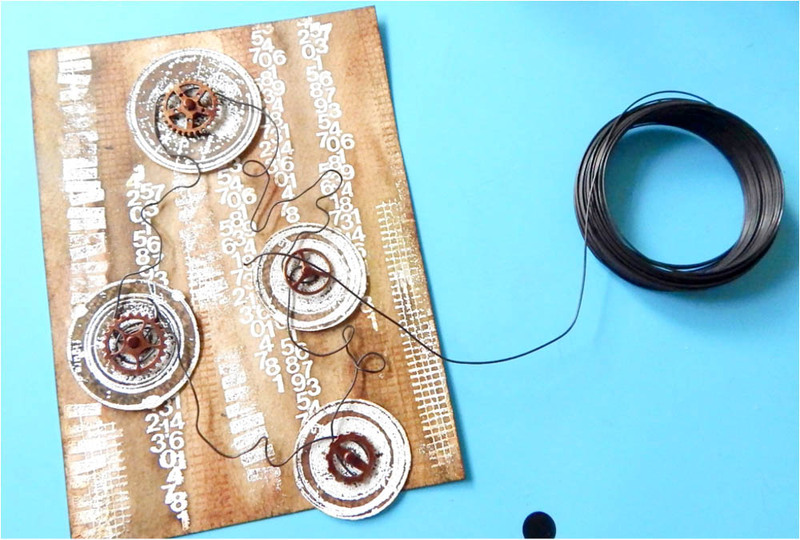 Do not let the wire press down on the circles, it will bend the paper. 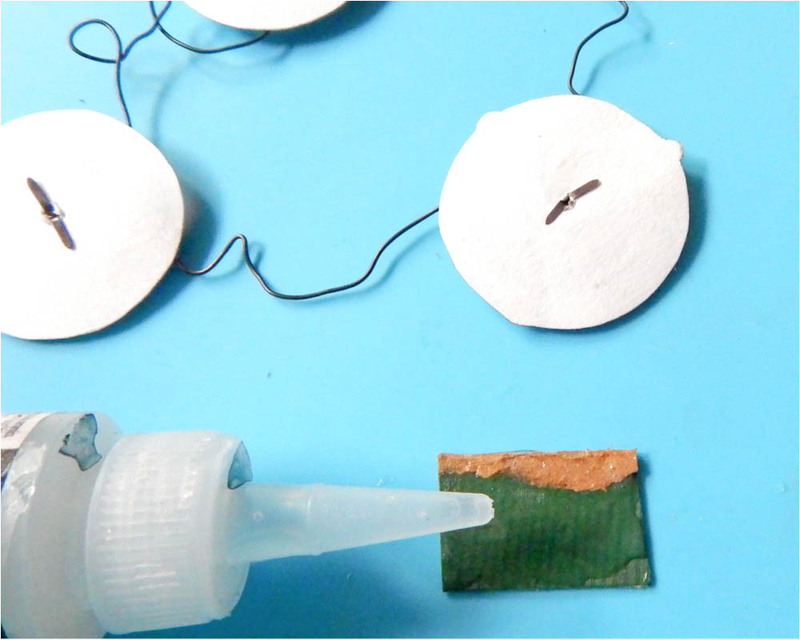 Turn the circles upside down, add glue to the back of the circle and onto a piece scrap piece of chipboard. Adhere the chipboard pieces on top of the brad’s backing. This will secure brads and gears and give the circles dimension by giving them a little height. Glue the circles onto the background. Add dark brown backing and you’re done. Thank you for stopping by the Imagine blog! I hope you give this abstract art project a try. This entry was posted in 2018 ARTIST IN RESIDENCE, Beginner, Cards, DIFFICULTY LEVEL, DIY, Embossing, INSPIRATION, Intermediate, Iris Rodriguez, Mixed Media, PROJECTS and tagged cardmaking, Cards, DIY, DIY Inspiration, Embossing, Embossing Powder, Handmade. Bookmark the permalink.